Wednesday is a great day. While some see it as a barrier to move forth into the ending of the working week, others take a more positive outlook and find themselves suddenly free from the weight of last week’s hangover. And no matter your outlook on Wednesday, we’ll always be able to provide you with the solution: ‘Wednesday Wines’. This week’s ‘Wednesday Wines’ tale has come from none other than wine marketer Tess Carmody, the very one who brought us the wisdom of the Fank Scale and Think Before You Urbanspoon. Now she once again shares her wisdom with the G&G to assist in the matter at hand. 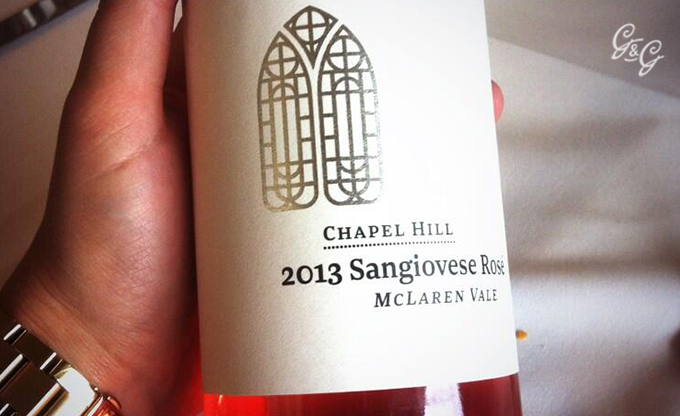 Wine: Chapel Hill Sangiovese Rose 2013 Price: $20 Food match: Slippery jamon and briney caperberries Location match: Chilled afternoon at Bucci, James Street. Soundtrack match: Little Dragon, Recommendation. For obvious reasons, and because I know the Chapel Hill winemaker (and DJ) Michael Fragos is a massive fan. This gorgeous rose petal on the nose, palate of fresh raspberries and pomegranate, is still lovely and savoury with typical sangio depth and textures. Currently wearing my best pink jeans (for the overall effect) and reminiscing on my latest trip to McLaren Vale to work with the fabulous folks at Chapel Hill, one of the 60 odd brands I work with (it’s a hard life). During said trip, they were so keen for the Brisbane Market to see this fabulous new vintage they gave me the first dozen off the bottling line to mule back with me on the plane. Wine by Tess Carmody – Chef at heart. Works in wine for Red + White.